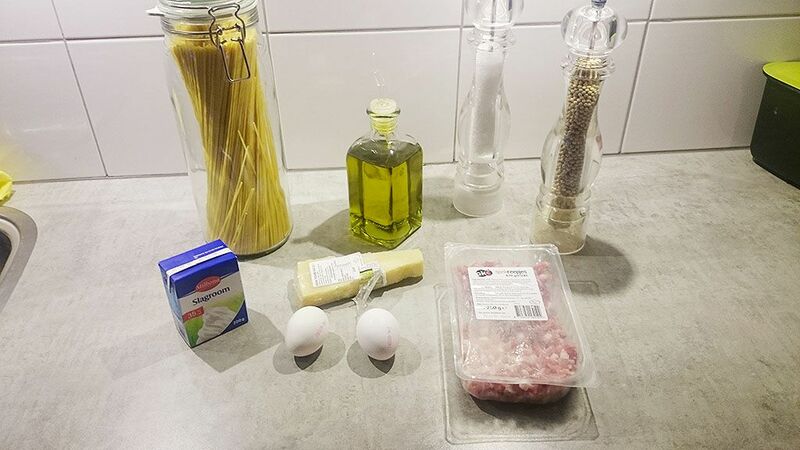 COOK the spaghetti according to package instructions. Meanwhile, heat up 3 tablespoons of olive oil in the large skillet. ADD bacon and fry until the bacon starts to brown. CRACK the eggs and place in the bowl and beat them using the whisk. ADD in 200 ml double cream and season using salt and pepper. 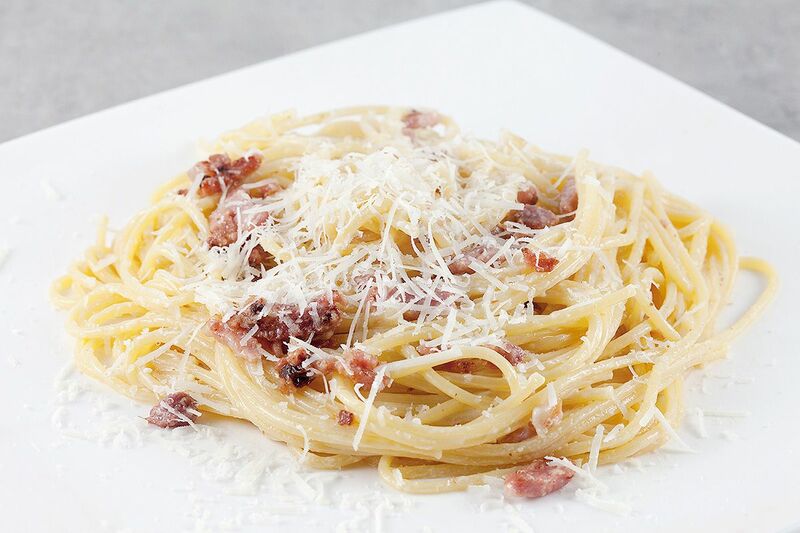 WHEN the pasta has cooked, drain and transfer the pasta into the large skillet with the bacon. POUR over the egg and cream sauce and turn the heat back on. HEAT up the dish until hot, keep stirring all the time. This usually takes about 2-3 minutes. 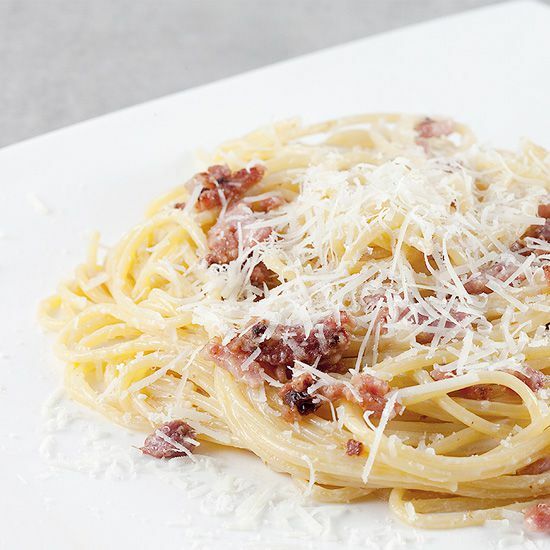 SERVE spaghetti carbonara immediately with grated parmesan cheese on top. 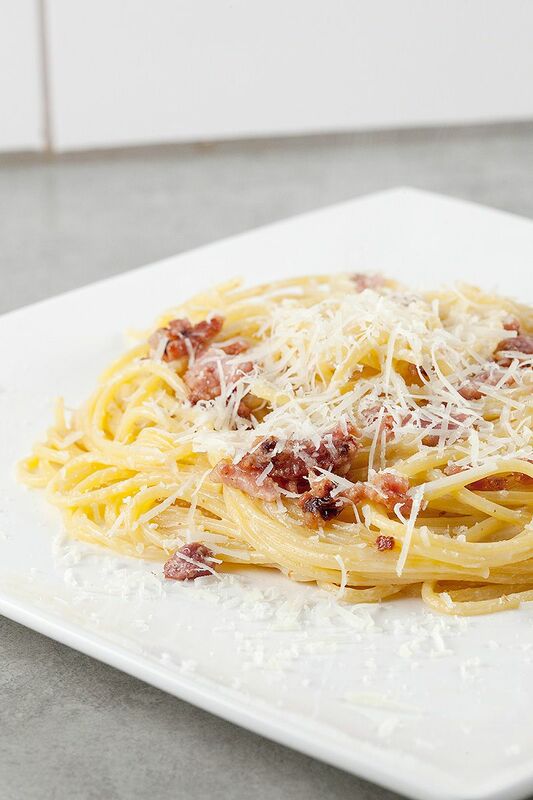 Enjoy this very basic and easy pasta dish.